We have all seen pantries that are so incredibly organized it makes us sick with envy, right? Never fear, it’s easier to accomplish than you think! A lot of times you can find these amazing flip top jars at the Dollar Tree, which can be a great way to save if you need quite a few. I recommend these for sensitive products in order to keep the air out by maintaining a tight seal. I did purchase this jar at Home Goods for $2.99 if you can’t find any at Dollar Tree. 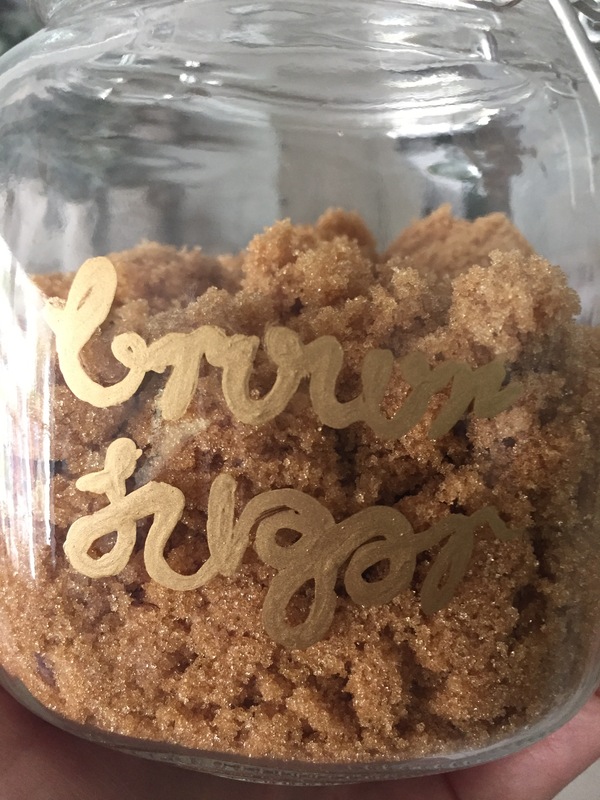 I’ll be honest and tell you that I typed out my word on screen with my favorite font and eyeballed it as I drew it on the jar. 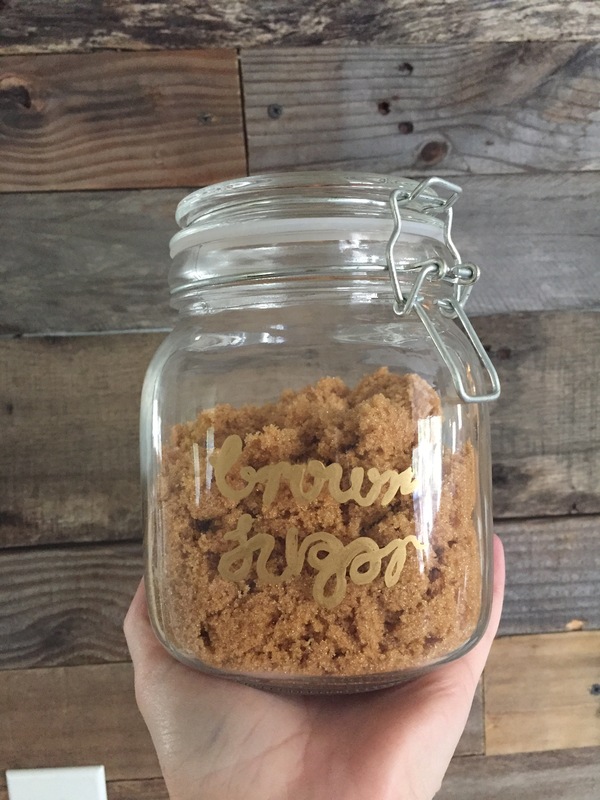 But for anyone who is worried about their penmanship, you can print it off and tape it to the inside of the jar and trace it. Very easy! I used Elmer’s Painters marker in gold as it is meant for glass. 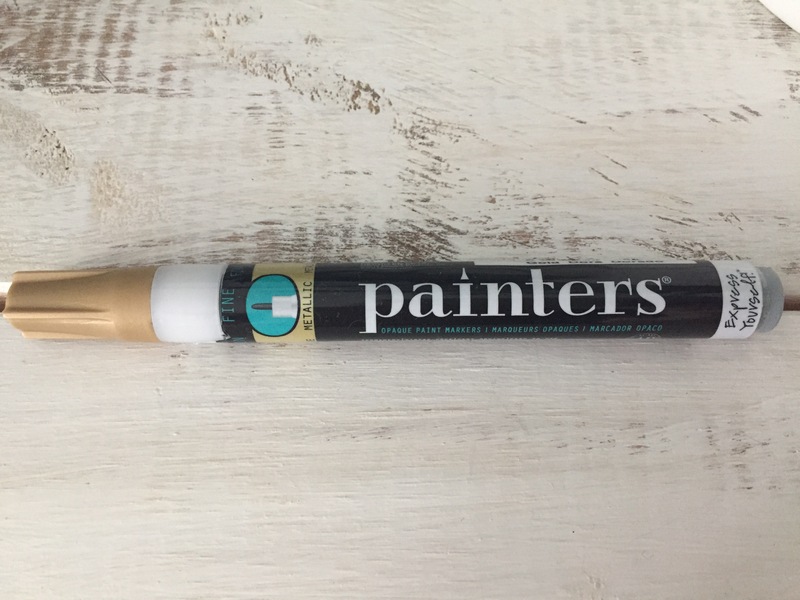 There are other markers like this available, but I’ve used these before and had great results!